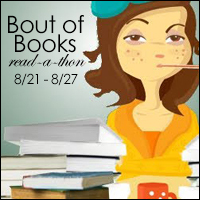 That's a total of 9 books finished for the read-a-thon so far - hoping to make it 12 (or more!) by the end of the weekend! Great progress!! I'm so impressed by all that you finished!